Last weekend saw the world's best mudplugger racers converge in Biele, Luxembourg for the World Cyclocross Championships. In the women's race Sanne Cant won after an epic battle with a now in-form and injury free Marianne Vos. The men's race went as per the bets, with Wout van Aert taking the top of the podium well clear of Mathieu van der Poel, who fell victim to mechanical problems in the challenging conditions. As with other cycling disciplines Team GB has spent a long time having modest success in major competitions and more so with cyclocross, given that it is not an Olympic sport, so less funding from British Cycling is available. However, young riders in team GB have begun to make their mark, with Evie Richards who became the under-23 world champion last year, and this year finished in third place. The real story of this year's World Championships was the men's junior championships in which the podium went to all Team GB riders - Gold to Tom Pidcock, Silver for Daniel Tullett, and Ben Turner rounding out the podium in Bronze position. This was a wonderful result to see, and real indictment of the hard work and effort put in by the teenagers and their coaches. 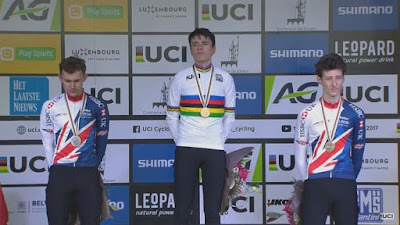 Sadly, their achievements proved a bitter-sweet moement as they were still reeling after the death of their fellow training partner and promising cyclocrosser, Charlie Craig. Barely a week before the championships the 15-year old passed away suddenly in his sleep. 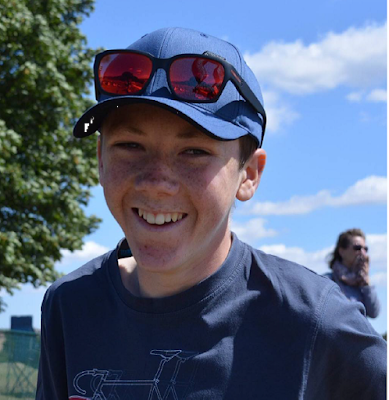 Charlie was a well-liked rider who was very talented in mountainbiking as well as cyclocross, and was an apprentice on the Great Britain Cycling Team's Rider Route. He won the cyclocross Under-16 National Trophy Series this season, and took silver at the Under-16 National Cyclocross Championships. The youngster from the Peak District was tipped to follow in the footsteps of older brother, Tom, and father Nick, who has been a huge force in mountainbiking and cyclocross for around 25 years. 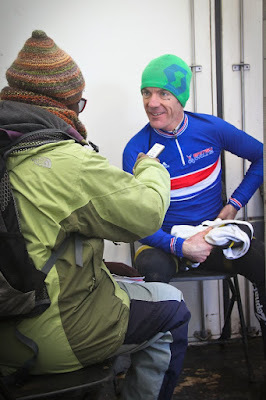 I interviewed Nick a couple of years ago in Derby at the National Cyclo cross championships when he won the male veterans race. He then went on to compete outside of category the following day in the senior men's (under 40s) championships and came third from a large field that included many men half his age! Despite his success, Nick was very humble about his achievements. He did speak very proudly of his two boys who also competed in the National Championships and I could see the proud parent coming out, encouraging them to do their best in their cycle racing. At the Macc Supacross, held during the Christmas break, I was quite impressed at how Nick, with his sons, rode the 16-mile journey from their home in Hayfield (High Peak), over to Macclesfield and compete (and get a podium place) at the event. It was such a shock to hear about what has happened to Nick and his family. I feel so sorry, and can only imagine what they must be going through. It must be every parent's nightmare. Seeing the three teenagers pull off such an achievement of a Team GB 1-2-3 on the global stage at the World Cyclocross Championships was so exciting, but at the same time very emotional. The young lads rode for Charlie, and they couldn't have given a better tribute to their dearly departed training buddy. I hope that the Craig family are able to take a little comfort from this, though I realise right now they must be swimming in a sea of grief. Charlie's Funeral will be held on Monday 6th February 2017 at St Mathews Church, Hayfield, High Peak at 2PM. All welcome. Family Flowers only please and donations to be made to Jeremy Unsworth Funeral Services, we are looking at various charities related to sudden death in the young. 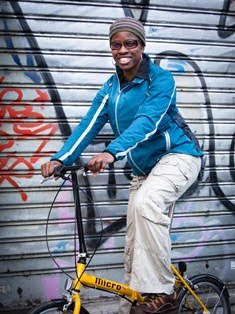 Dress code casual and colourful, cycling tops and bobble hats welcome for children and big kids X oh cow bells too.